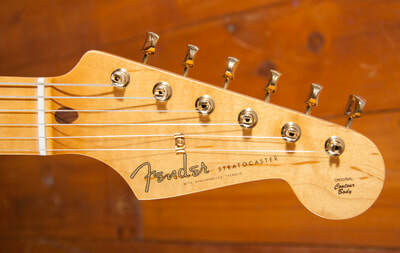 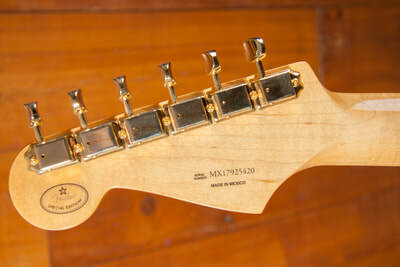 For guitarists who must have the instrument’s original-era tone, look and feel, the Classic Series ‘50s Stratocaster epitomizes the guitar in the decade of its debut, with unmistakable early Strat style and sparkling sound. With its authentic vintage-style features and finishes, everything about it takes you back to the time of diners, “Ike for President,” cars with fins, a wild new kind of music called rock ‘n’ roll and an upstart little Southern California company called Fender. 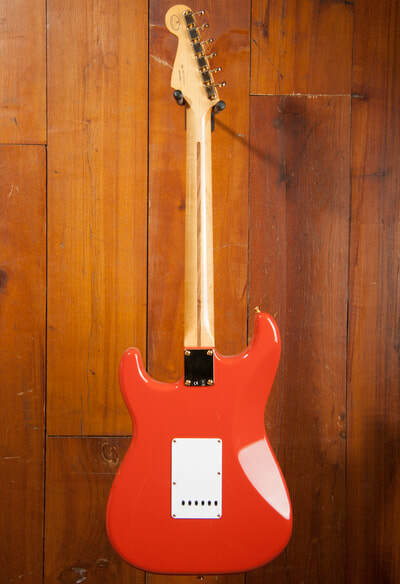 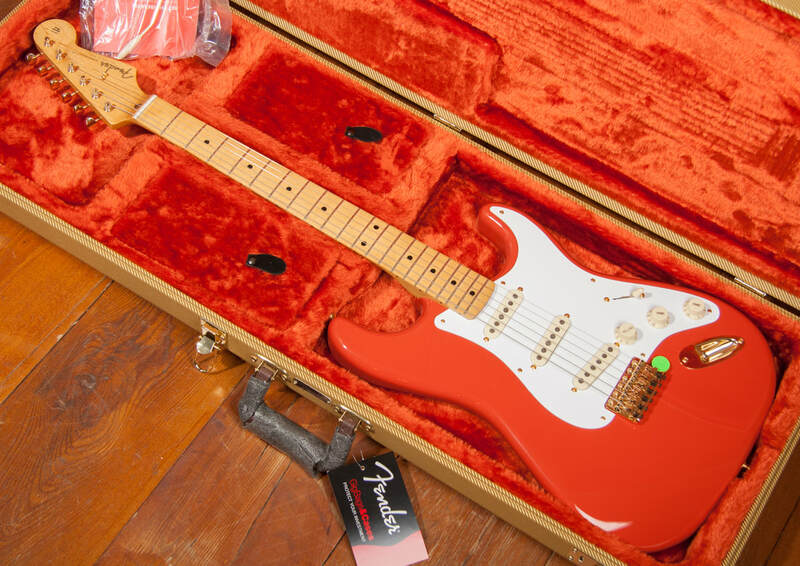 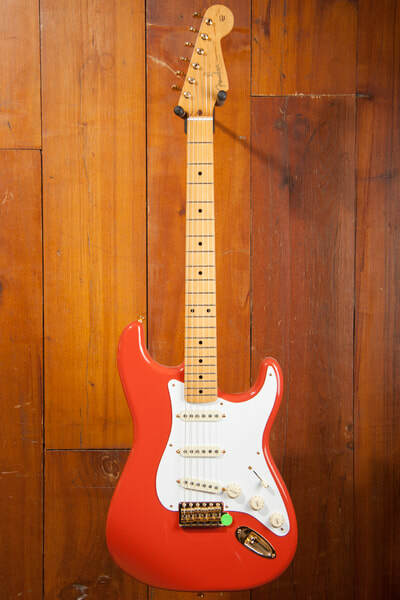 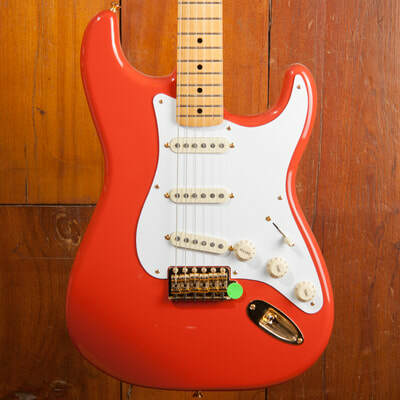 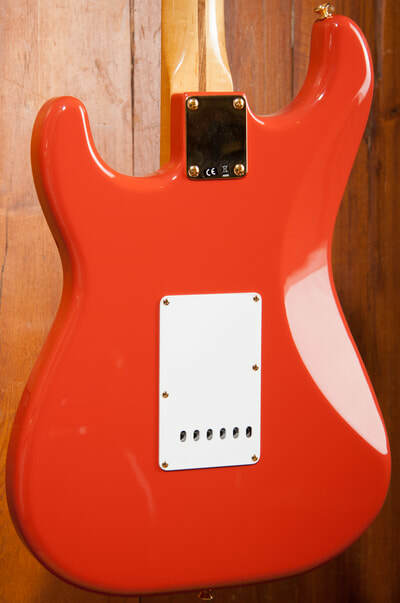 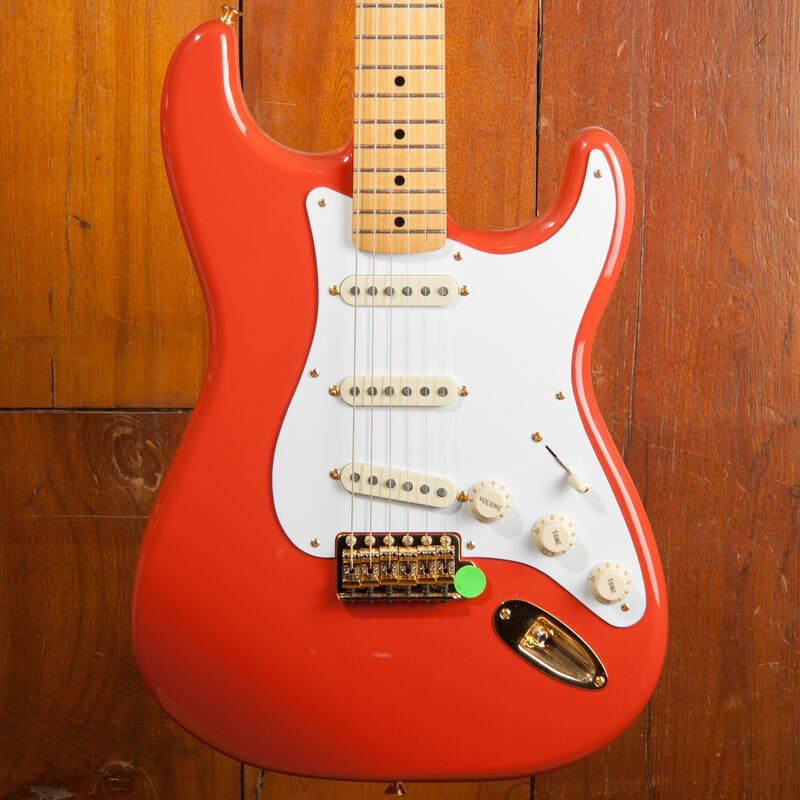 This FSR version comes finished in fiesta red with gold hardware, a Pro Series Tweed case and American Vintage ‘56 pickups for even more authentic 50’s Strat tones.